If you’ve stepped into a retail store sometime in the past few weeks, you know that rabbits, pastel-colored boxes and candy of all shapes and sizes have recently taken up residence in the seasonal aisle. We know that Easter is traditionally known as a religious holiday, have you ever wondered where these symbols got their origin? We did, too, and after a bit of research, we think we found the answers! Believe it or not, these characters are said to pre-date Christianity. The origin of the word, “Easter”’ stems from Eostre, the Germanic goddess of spring. Each year, on or around the 21st of March, the Celtic people would celebrate Ostara. Although it sounds like a holiday, it was seen as an opportunity to be in tune with the changing of the seasons. Because the Spring Equinox is known as a time of rebirth, it has strong ties to fertility and sowing seeds. The symbol of the rabbit first appeared during medieval times in Europe. Hares had been known to be nocturnal most of the year, but in March when the mating season began, bunnies could be seen everywhere. In no time at all, the hare became known as a major symbol of fertility. As for chocolate and candy, you will not be surprised to learn that we could find evidence of existence during the original Celtic celebrations. We can likely assume the abundance of candy can be rooted back to Catholic traditions. Christians typically sacrifice items they enjoy during the Lenten season such as rich food items like meat, soda or candy. On Easter Sunday, we celebrate the end of Lent by indulging in sweets. There you have it – some of the best-known origins of Easter. What is your favorite symbol of Easter/Spring Equinox? It indeed is a remarkable time of the year. After a long winter season, it’s amazing to see our beautiful land coming back to life. We hope you have a chance to take a moment to appreciate spring’s arrival as you celebrate with your family this weekend. Happy Easter from Lions Pride! It’s the spookiest time of the year. You’ve likely already seen carved jack o’lanterns, tombstones appearing in obscure locations and skeletons dancing in the wind, but come this weekend, you’ll see all sorts of costumed creatures! Ireland is typically believed to be Halloween’s birthplace. Chocolate candy bars are the most popular candy for trick-or-treaters with Snickers being the top brand. More than 93 percent of children go trick-or-treating to celebrate the holiday. The owl is a popular Halloween image because they were once thought to be witches. Halloween is one of the oldest celebrations in the entire world, dating back to approximately 4000 BC. Orange and black are Halloween colors because orange is associated with the fall harvest while black is associated with darkness and death. Salem, Massachusetts, and Anoka, Minnesota, have both proclaimed themselves as the Halloween capitals of the world. The first jack o’lanterns were carved out of turnips, rather than pumpkins. More than 90 million pounds of chocolate are sold during Halloween week alone. Surprisingly, Halloween ranks as the sixth most popular card-giving holiday. If you see a spider on Halloween night, legend says it is the spirit of a loved one watching over you. In 2016, superheroes have beat princesses as the most popular Halloween costume (ending their 11-year reign). A fear of Halloween is known as Samhainophobia. There you have it, fun facts to celebrate old Hallows Eve! From all of us at Lions Pride, we wish you and your family a safe, enjoyable Halloween weekend! Take Time to Relax During Stress Awareness Month and Beyond! Did you know that more than 1 in 4 Americans say that they have had a great deal of stress in the past month? Plus, half of all adults say that they have experienced a major stressful in the past. These adults add up to more than 115 million stress out Americans. April is Stress Awareness Month, and although May is fast approaching, we felt that this topic deserved some attention that could hopefully be carried out in months to follow. Stress is a normal part of life. Our bodies are built to experience and react to stress. Believe it or not, stress can actually be positive because it helps us stay alert and avoid danger, but it can quickly become negative when bodies don’t get the time to recover. Nearly all trips to the doctor’s office are due to stress-related ailments and complaints. Stress can play a major role in problems such as headaches, high blood pressure, heart problems, diabetes, asthma, arthritis, depression and anxiety. Could there be possibly an easier way to relax? By taking slow, deep breaths, you can lower your blood pressure and heart rate. Studies have shown that simply by writing down your thoughts and feeling can help combat anxiety and clear the mind of stress. A cluttered environment reduces your ability to focus. By organizing your space, you are removing all potential work that might be otherwise staring you in the face. Yes, you heard us correctly! When used in appropriate quantities, dark chocolate has been shown to significantly improve mood by increasing serotonin and endorphin levels in the brain. It’s been shown that nature is a natural stress reliever. Wide-open spaces mean more opportunities to boost your health. Did you know that you could enjoy some time this summer in what we feel is the best open space, the Wisconsin Lions Camp? WLF is again hosting Visitor Days every Wednesdays over the summer, and there are still openings. If you do choose to visit, be sure to stop by at the Lions Pride office. You can achieve stress relief in two ways because we are always stocked with chocolate! There are several more ways to reduce the amount of stress in your life, and many take less than 5 minutes of your day. 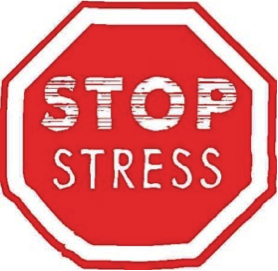 Take advantage of these tips to reduce your stress and improve your overall health. How do you accomplish stress relief? We are three weeks into Lent; have you have given up something you love to observe this especially religious time of year? Christians honor Lent as the season of conversion. They acknowledge the many different ways that may have turned them away from God by focusing on the three pillars: prayer, fasting and almsgiving. By giving something up, they are practicing a modern form of fasting. In general, the sacrifices people give up are considered bad habits. A few of the most common sacrifices include chocolate, soda, fast food and smoking. We have an interesting thought, if you can give up something for 40 days, why do you have to go back to your old ways when Lent is over? There’s an old myth that says it takes 21 days to form a habit. New studies show that habit-forming actually takes 66 days. If it’s true that 66 is the magic number, then you are more than halfway to the end goal! However, if the idea of giving up your guilty pleasure completely gives you nightmares, maybe it’s time to think about practicing moderation. Consider this; say you stop at the coffeehouse five times a week on your way to work for an extra large latte. Not only are you consuming an average of 240 calories a day, but you are also spending nearly $4 a day and almost $20 a week on your morning pick-me-up. If you add that up for an entire year, you are spending close to $950. Yikes! Rather than buying a Latte each day, think about brewing your own coffee at home and using your favorite flavored creamer four days a week then having a latte only day each week. Think about which day you’d like to reward yourself – maybe Friday to get an early start on the weekend or Monday to make that less-than-perfect day a little easier to manage. By reducing the number of lattes you consume each week from five to one, you are likely reducing your weekly calorie intake drastically as well as keeping more money in your wallet. By using our example, you would be saving about $821 each year. What will you do with all of your savings? If it’s anything close to our scenario, you can do a lot! You could take a mini-vacation, splurge on something you normally wouldn’t or make your sacrifice even more special; make a difference by using those funds to support a charity like Lions Pride. The Lions Pride Endowment Fund makes it easy with automatic payment options. One Pride Donor has said, “I have a $20 monthly donation coming out of my checking account every month, I don’t even miss it.” There are many ways you can donate to Lions Pride, click here to see all the options available. By giving up something you care about during Lent, you are showing yourself just how much willpower you really have. Remember, you are more powerful than you think. Continued Success! There is nothing simpler or more thoughtful than saying “thank you for your hard work” and there are so many ways to say it! Spend a moment to send a card, write a short email or making a quick phone call. By showing a little appreciation, you are sure to make someone’s day brighter. Volunteering is one of the oldest ways to support your nonprofit organization. Often times, events are major fundraisers for non-profits, but they need hard-working people make the event a success; plan ahead by volunteering to help with the next big event. Volunteers are needed for the 8th Annual Lions Pride Shoot is scheduled for Saturday, June 13th in Johnson Creek. Email the LPEF office for more information. Social networks like Facebook are wonderful promotional tools for non-profit organizations keeping supporters up-to-date on current happenings. Help Lions Pride reach new potential supporters by sharing their message. Encourage your friends and follower to learn more about the nonprofit, volunteering their time and/or making a donation. Be sure to tag the organization so they can thank you for your support! Find and LIKE Lions Pride on Facebook. Finally, the most obvious way to show your love. Make a special donation to Lions Pride in honor of a friend or loved one! Remember, even small donations make a big difference. From all of us here at Lions Pride, we hope you enjoy your Valentine’s Day and don’t forget the show the love to your favorite non-profit! Tomorrow marks the most romantic day of the year, Valentine’s Day. To help get in the spirit, we’ve compiled a list of fun facts about the day of love. In 2013, eNation estimated that 233 million roses were purchased on February 14. Valentine’s Day is the biggest day for fresh flowers. Men spend twice the amount of money compared to women. Men spend an average of $175 on gifts while women only spend $88 on average. 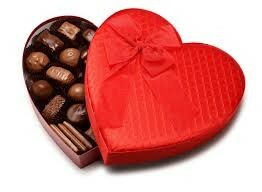 50% of gift givers opted for candy and chocolates spending approximately $1.6 billion. One in five roses purchased were for the buyer’s mother. In 2013, we were able to send 45 children with special needs to Lions Camp for a week filled with outdoor fun and life experiences. We were able to help hundreds of hearing impaired individuals who did not qualify for state-funded financial assistance obtain hearing aids. We were able to provide previously owned eyeglasses to needy individuals all over the world with our eyeglass recycling center. We have estimated in the last 15 years, we have received over 800,000 pairs of used glasses. Valentine’s Day is a great time to show love, but it’s important to remember that any day is a wonderful day to touch the heart of another. Want to help us? You can make a tax deductible gift online. You can rest assured that your support is helping deserving children and individuals all across the state of Wisconsin. 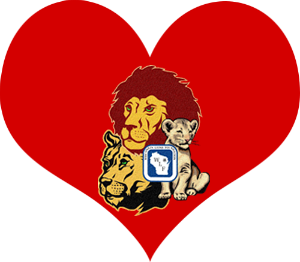 Happy Valentine’s Day from all of us at Lions Pride!